“Genesis” is the ultimate webcast/broadcast/second screen fully high definition production mobile unit from iLink. 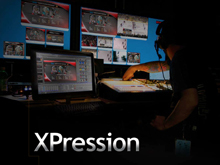 Designed with big-truck capability and workflow in mind it allows productions to utilize state of the art production techniques to produce network-quality results at a fraction of the size and cost of larger mobiles. 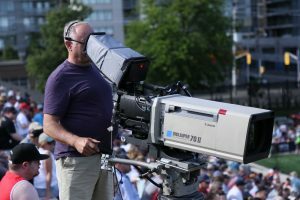 Yes, it’s true… anyone with a handicam and a laptop can do a webcast but there’s no question a broadcast lens that can deliver crystal-clear head and shoulder closeups from hundreds of metres away can do it better. And doing it better means stunningly clear, high definition pictures with our complement of six Ikegami HDK-73 2/3″ CMOS multi-definition camera chains. Standard configuration is three hard cameras with box lens adapters and three hand held configurations but we can configure to any need or budget. There are no boundaries to the limits of your creativity when you have the ability to utilize up to 24 individual video sources, 4 channels of digital video effects, two mix/effects banks, 8 keyers and internal still store with animation playout. The immensely powerful Ross Carbonite 2M-24 production switcher is the heart of the Genesis mobile unit and it gives you endless options for making your production the best it can be. You’ll never miss a shot or a replay with the ability to simultaneously and continuously record up to 30 hours of 4 individual high definition inputs while at the same time having the ability to play out two different replays or clips at the same time. Ideal for multi-camera replay operation for sporting events, the 3Play 440 also allows for individual camera isolation recordings for later editing or post production shot fixes. So missing that four frame drum shot in the middle of a song is not a problem. Just go to the iso recording and drop it in in post production! Getting the right clip on air at the right time is key to any live production. This is where our newest edition to the Genesis mobile unit shines! Not only does the Blackstorm Clip Server give us the ability to instantly cue and play feature pieces, short clips, soundbites or commercials to air, it’s four HD channels also give us virtually unlimited ability to playout animations and other graphic elements. 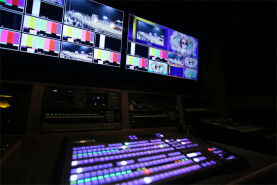 Whether they are rolling backgrounds for things like text elements and split screen effects or high-quality animated transitions between elements or instant replays in sporting events, the Blackstorm server is fully integrated with our Carbonite production switcher to provide a true graphical experience for your audience.